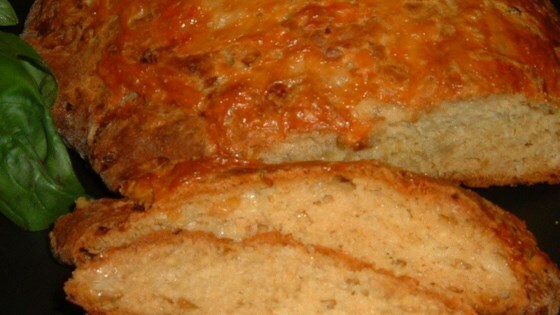 "Sharp cheddar cheese combined with tender onions and it 's a quick bread that goes great with green salads." Fry the onion in 1 tablespoon of the butter or margarine until clear and golden. Set aside. See how to make a savory bread pudding side dish for grilled steaks. Simple and delicious! I recommend using red onion for flavor. Used almost double cheese, too, and the texture was still great. I'll double the recipe next time! i liked this recipe, but not as a bread. it has the texture of a biscuit, so i will make it again in a muffin tin or just as small mounds on a cookie sheet as biscuits. Not what I'd call savory.